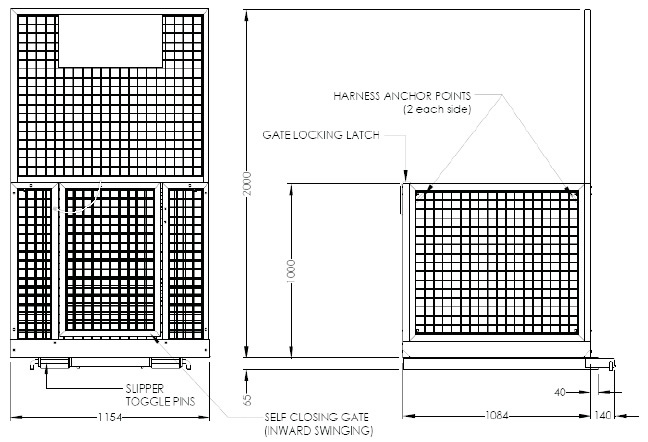 The NS-WP-MSA forklift safety cage has wire mesh sides and is shipped assembled so is very cheap to freight and is very easy to assemble. 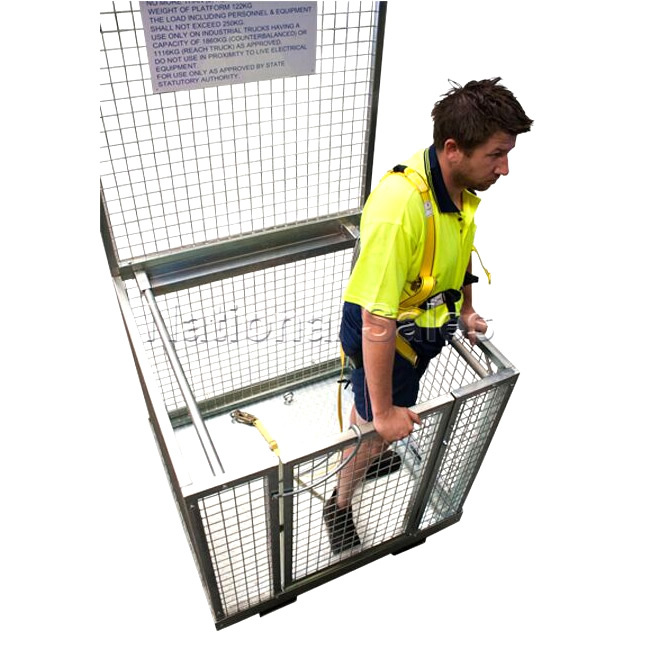 The NS-WP-MSA forklift safety cage has been specifically designed to carry a maximum of 2 people for tasks of short duration and occasional usage with a forklift truck such as maintenance or stocktake. Be sure to check out the shipping charge from above dropdown! NOTE: The use of any forklift safety cage should not be considered if the lift capacity of that Forklift is less than 1860kg for a counterbalanced type forktruck or 1116kg for a reach type Forklift. 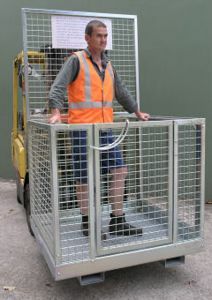 The NS-SC-N forklift safety cage is shipped flatpacked so is very cheap to freight and is very easy to assemble. 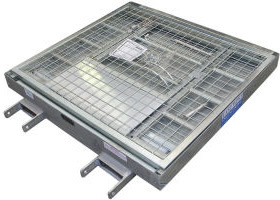 The NS-WP is a fully welded safety cage with optional anchor points for safety harness and is available galvanised or zinc finish. 8 Tonne heavy duty professional container ramp. Easily load/unload 1st and 2nd row of pallets with forklift in shipping container. Fast positioning and removal with the CRSN8 ramp. Fitted with fork pockets either side, along with front flip-ups allows placement in confined areas. Container ramp with 6500kg SWL and folding design to enable easy storage. In Stock Sydney, Melbourne, Brisbane, Adelaide and Perth. Copyright © 2019 Handling Gear. All rights reserved.